We bring forth vast industrial experience and expertise in this business, instrumental in Automotive Wiring Harness. 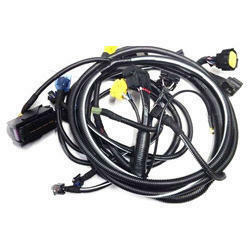 On offer from us is a comprehensive range of Automobile Wiring Harness extensively used as assemblies. This range is manufactured using premium quality raw material and is known for its durability, dimensional accuracy, and flexibility. Our range of electrical wiring harness can be customized to cater to the requirements of our wide spread client base. We are engaged in manufacturing and supplying wire harness. These are widely used in automobiles for auto electrical, ignition system, battery cables, refrigerator, washing machines, television, microwaves and air conditioners. These are made of brass and aluminum and can be purchased at market leading prices from us. K.D.Engineers is the premier private label manufacturer and market share leader in the production for the Automotive Aftermarket. With over 15 years of experience in the automotive market, we are the supplier of choice for national brand distributors an major automotive part retailers and were instrumental in the development of the original Suppressor Core conductor for ignition wire. Being a distinguished organization of this industry, we are providing highly durable Automotive Harness Wire at very nominal price. Leading Manufacturer of broad range of Wiring Harness, Battery cables, Wiring Sets , Connectors & Terminal for Tractors and Off the Road vehicles. Wiring division is a TS 16949 & ISO 14001 certified company. - OEM and ODM products are acceptable. 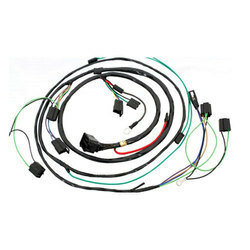 We are producing highly qualitative Headlight Wiring Harness for four wheelers, which helps in making connection throughout the parts of any four wheelers.